Evocative of the coastlines of our fair isle, Coastline is a self striping 3-ply that has rich deep blues, heathered turquoise highlights, soft sandy drifts and gentle greens that sing of the susurrus of seaside grasses. It’s a lovely, bouncy and squishy blend of different shades of Bluefaced Leicester wool that has been over-dyed by the lovely folks at Greenwood Fiberworks. I’ve been busy spinning, knitting and sewing for months now, building up skeins and other fibrey goodness to take to Fibre East in July. One of the less fun but throughly rewarding tasks has been reskeining all my stock into 2 metre skeins. With the aid of niddy noddy and swift, I painstakingly reskeined thousands of metres of yarn. Then there were the new skeins, ones that have been finished more recently and needed photos. I’ll be posting their individual yarn stories over the next few weeks. There are more to come too. I’m spinning nearly every day, and I’m hoping to have at least another three skeins finished before July. A while back a friend of mine – a talented designer, dye artist, spinner, and writer – came to see me. I’d just revealed to my friends and family that I was spinning, and she immediately announced that she was not only going to buy a skein, but that she was going to make the hours long trip from Cardiff to interview me for her blog. I was both delighted and terrified. If she did that, this whole spinning thing was going to be real, and I’d really have to take the leap into selling something that I’d made. Despite my fears and after a little talking down from off the ceiling, a skein was purchased, mailed and knitted up in super quick time. A few days later Machelle was awake super early to get the train from Wales. Machelle’s trip to Cambridge was lovely, we had glorious weather and after talking for hours about spinning, yarn, knitting, food and much more besides, my fiance and I took her and her shawl on a tour of scenic Grantchester. We had tea and cake in the Orchard and my beloved took a photo of the three of us together in Grantchester Meadows. As you can see, my yarn likes it out in the wild, and seems to enjoy photo opportunities next to fences. Machelle shoots from the hip when it comes to reviews, she’s brutally honest and I love her for it. I loved her even more when she said that she couldn’t think of a bad word to say about my yarn. She really put it through it’s paces too. Machelle made up the pattern for her Silver Screen Shawl, and there were a couple of places where she ripped out quite a bit of the pattern to make changes. When she was done she blocked it fairly brutally, took it up before it was dry and ironed it because it wasn’t drying fast enough – she wanted to wear it! Having heard the extent to which my yarn was tested, I became fairly confident that it could handle most usual (and more unusual) wear and tear! However, please do remember folks – if you buy a skein of Secret Spinner yarn, it is 99% of the time going to be spun from a pure wool or wool blend and if you put it in a washing machine, or even hand wash it too hot, it will more than likely felt. Unless you are trying to do that deliberately, please keep it away from the tumble dryer too. All of my yarn is spun on my Ashford Traditional wheel Ariadne. There are no short-cut’s taken and all of the measurements are done in the traditional way on a niddy-noddy, which is why I only ever approximate the length of a skein. I under estimate so that you’ll hopefully always have enough yarn for the project that you have in mind and since I calculate the price based on the final length of the skein you’re always getting a little extra for your money, not to mention the energetic hug from having positive energy and kindness spun into every inch. A big thank you has to go to Machelle for letting me use the images that she took of us and her finished shawl for this post. If you would like to read the original interview you can find it at the Chopped Tomatoes blog. I should also mention that this week Machelle is launching her eco friendly knitting design journal recipes.knit. It’s awesome and wonderfully useful, and I’m glad that Machelle is back with us in the land of the living after spending months with her head in the book! Hello lovelies – I’m going to do something that I don’t normally do and ask you if you could share this link far and wide. http://www.goddessguidebook.com/affiliate-redirect/?p=secretspinner&w=sems It’s an awesome resource and because I was a contributor I get a little bit of cash when someone buys a copy using my link ^^ I’m not asking y’all to buy it, or to spam the bejaysus out of your friends, but if you know someone who might be interested can you send them the link please? Enchanted Reef went off to find her new home with fabulous writer Debora Geary, author of the Modern Witch and Witchlight series of books. There was a secret conversation between them – a whispering of what she could become – and before I could blink, Enchanted Reef was flying across the pond (although not on a broomstick as far as I know). Almost as soon as she’d landed in Debora’s mailbox, she was wound from skein to ball and on her way to becoming the Trousseau Shawl by Carol Feller. Debora chose to follow the instructions for the small version of the pattern, and soon she began sharing tantalising ‘WIP’ pictures of her shawl. Even in this early picture we start to see the gentle striping and colour transitions that I had a glimpse of during her creation, but sitting at the wheel it’s so hard to know what a finished piece will look like as much depends on the pattern that is chosen and the way the piece is constructed. I thought the suspense would drive me crazy but Debora’s shawl worked up super fast and in no time more pictures appeared. This one is so cute and shows the shawl finished but unblocked on the shoulders of one of Debora’s children. The striping is visible, although not fully revealed, but I just had to share this photo to once again sing the virtues of the blocking process. What looks like a tiny, crunched up piece of knitted fabric becomes something altogether different with the application of water, wire, pins and patience. After the blocking process the finished article – an Enchanted Writing Shawl for Debora’s office – is revealed in all it’s beauty and gorgeousness. As the spinner in this process I take little credit for the final work of fibre art. I am a small piece of the puzzle, a short chapter in the story of becoming that this fibre has been on, from when it was dyed by GeminiKnits to being knitted up by Debora. So now for the beauty shot – a delightful demonstration of the colour transitions and finished size of Debora’s Enchanted Reef Writing Shawl. I hope that it brings her many years of pleasure and warmth, a practical and beautiful object of adornment. A huge thank you must go to Debora for allowing me to use her photographs for this article to share with you all. Here begins a new series of posts about what happens to Secret Spinner Yarns when they go off to create lives with someone new. My yarns are made to be used, worked into something useful and treasured for their uniqueness, bringing to their adoptive carer a blend of beauty and practicality. I think of my yarns as my babies, my creations, they are birthed from a place of love and creativity, of passion and stillness. When it comes time to let them go, I think of it as releasing a living, breathing entitiy into the wild where it can flourish and grow, where it can become. Where did the last 3 weeks go? Gosh, time has flown so fast since Fibre East happened. I had a lovely time, and so enjoyed talking to people who love fibre as much as I do! I’ve been to the North – My grandma was 90 at the start of this month and I knitted her a shawl to mark the occasion. 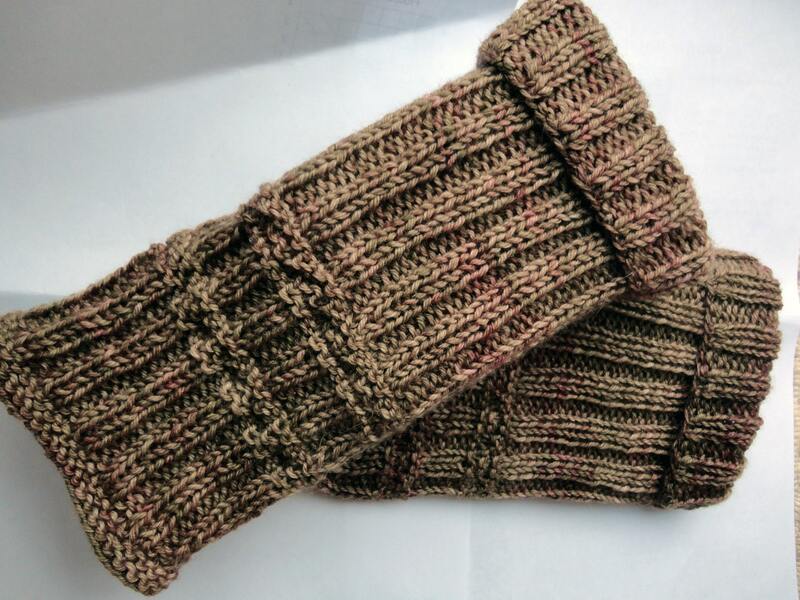 It’s made from Rowan Alpaca Cotton and is snuggly soft and super warm. I’ve had a birthday – I’m now 30. I’m happy and relatively healthy and trying to build a life for myself doing what I love. It’s slow going, and there are generally setbacks that are health related, but I’m walking my path one step at a time. After my return from sunny Lancashire, I had the pleasure of joining a spinning and fibre craft demonstration with Spindependence at the Cambridge Rock Festival. We introduced folk to spinning and felt making, and the great music was a fabulous bonus!